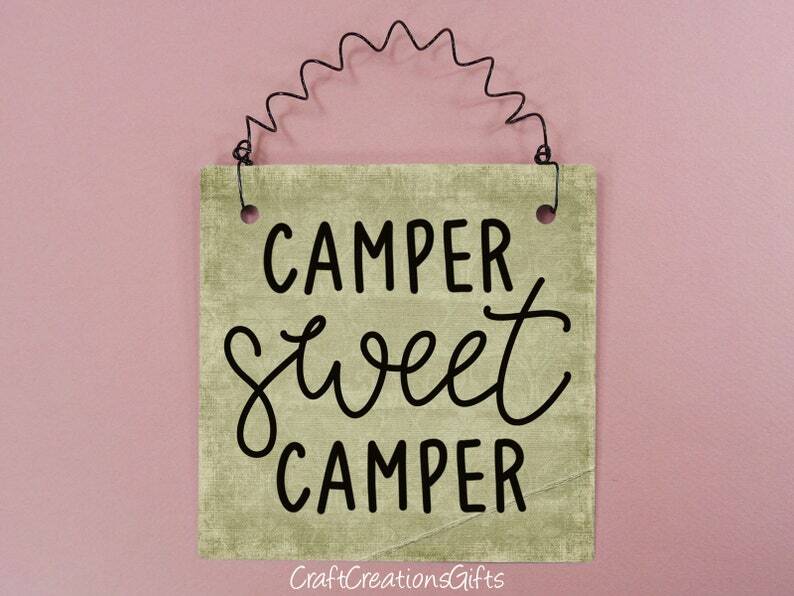 USES: Just the right size for campers, tiny houses, offices, desk, gift giving, wreath decorations, kitchens, bedrooms, bathrooms, dorm rooms, small tokens of appreciation, small signs for small spaces, etc. The beauty of our handmade signs means no two are ever exactly the same. The sign you receive may vary slightly from the digital mockup photo(s) in our listing. Some colors can vary from what you see on your screen to the actual printed sign you hold in your hand. Our digital images, colors and designs are represented as best we can. The cutest thing ever... thank you for fast shipping. I love this sign. I love the size. It will look great in my new camper.